Remember when Delta capped commissions twenty years ago? It shocked the industry. Transformed corporate travel programs into cost centers. Re-wrote the buyer-TMC business model. Ushered in professional procurement practices. Overnight. Wow. Well, Delta has done it again. Much less drama here, but with even more long-term impact on our industry. For airlines, yes, but also hotels, ground transport and TMCs. We all need to pay attention to this. Why? Because Delta is forcing the quality question front and center into the travel procurement decision. This is a big deal. By guaranteeing that its on-time performance will be better than its two main rivals, Delta is making buyers factor in the quality of its operations as part of Delta’s value proposition. So now buyers also need to factor in the quality of Delta’s rivals. On a very measurable metric. That matters a lot to travelers. Which has been “free”, or at least unlinked to price. Or explain to management why this quality stuff doesn’t matter. I think this is the first clear and ever-so-practical step taken by a major travel supplier to get buyers to focus on the total cost of travel. Not just the up-front price paid, but a pretty big piece of the whole enchilada. In effect, Delta is unbundling the price of on-time performance. In a way that wins them friends, not enemies. It’s brilliant, and I love it. Measuring quality in each travel category is possible, but few buyers make much effort. It’s much easier to assume (or pretend) that “they’re all the same”. That’s a classic procurement play. It reinforces the commodity nature of the suppliers, leaving them little choice but to compete on price. Now, the analytics behind any negotiation have to include the value of each airline’s quality. Today, the metric is system-wide performance. Tomorrow, who knows which factors the industry will want to compete on? 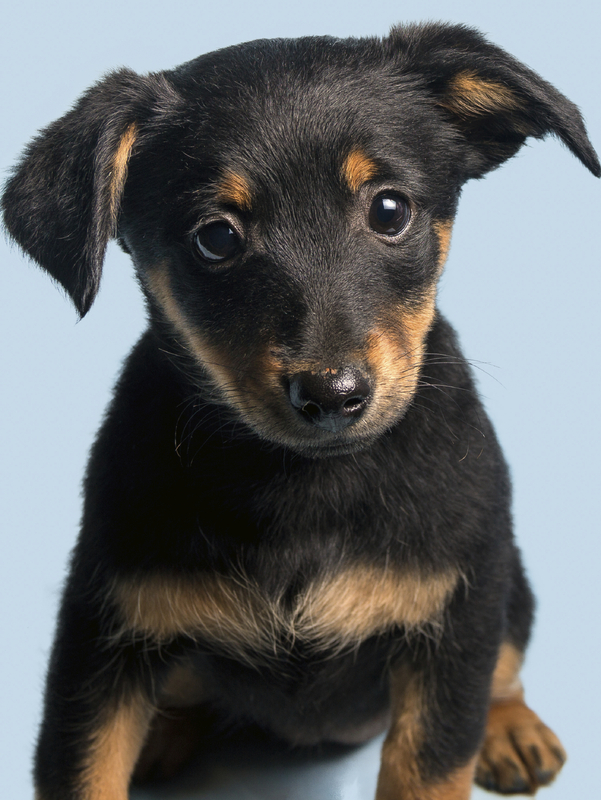 Here’s the thing: putting quality into the procurement equation is like bringing a puppy home to your kids. There is no way you’re ever going to take that puppy back. United and American now have to compete harder on this dimension of quality, and/or find other important quality factors which favor them. They too will have to put some money on the line. And then there are Air France/KLM, British Airways and Lufthansa…hmmm. Hey, what about hotels? Quality matters there, too, right? Maybe Marriott puts its average TripAdvisor rating up against Hyatt’s and Hilton’s…you can see how this will unfold. More money at stake means more buyer bandwidth for linking quality to price. 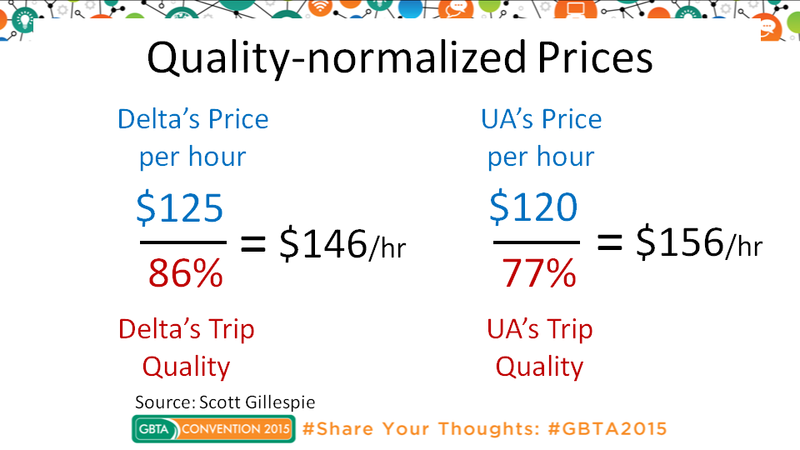 I spoke about this very concept last week at GBTA’s Advanced Airline Sourcing session. (NB: I had no advance knowledge about Delta’s on-time guarantee.) In that session, I showed why buyers need to evaluate trip quality along with price, and how this could be done with the airline category. The point is that we can readily link price and quality, and we should. Only by rewarding suppliers who deliver higher value can we expect both buyers and suppliers to win in the long run. Delta, thank you for putting quality squarely into the procurement decision. That’s the kind of innovation we can all appreciate. Want articles like these delivered to you by e-mail? Follow me here. It’s free, and you can unsubscribe at any time. This entry was posted in Airlines, Innovation, Metrics and KPIs, Travel Procurement and tagged Delta Air Lines, on-time performance, Total Cost of Travel. Bookmark the permalink. The little dog is darling and got my attention â but is it supposed to be there? Glad the post, and picture, caught your eye! Yes, the puppy’s photo is intentional. It is meant to tie to the line about not being able to take a puppy back afte your kids have had it at home. I believe that once stakeholders get used to having a clear and important quality-related metric made part of the sourcing decision, they will not want to see decisions made without these factors in the future. I agree 100% with your commentary. For business travelers especially (not including leisure travelers who like to cut connections close – guilty by the way), flights/airlines that are on time by 10, 20, 30 pts over the competition add a very real level of value that should be a bigger part of the decision making process rather than just an afterthought. This move sounds like a smart and quantifiable way to put this quality aspect into the forefront of the discussion.